Mainstream media has traditionally distorted and misrepresented images of Native Americans. 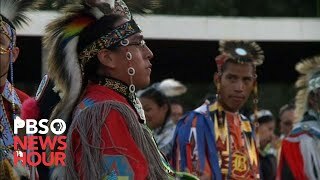 A study examined Native American-themed YouTube videos, and results concluded although some users respond favorably to traditional portrayals of Native Americans, the majority of people respond more positively to Native depictions in contemporary, realistic contexts. These findings point to the ability of media outlets to change social perceptions of marginalized groups. Editor's Note: When you click a thumbnail, the video plays in the larger window below. The outspoken actress fought back tears on Thursday as she explained why she's 'sick of' the American holiday. CNN's Brooke Baldwin talks to an actress who walked off the set of an Adam Sandler movie after she and others disagreed with the film's content. Members of the Great Sioux Nation could pocket a large sum set aside by the government for taking the resource-rich Black Hills away from the tribes in 1877. But leaders say the sacred land was never, and still isn't, for sale. 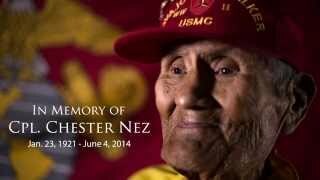 In his final interview, WWII Marine Chester Nez reflected on his place in history. 10 days after this interview, Nez died of kidney failure at his home in Albuquerque. Family members, the Navajo Hopi Honor Guard, Marine Corps representatives, veterans and others gathered to pay their respects. After the funeral Mass, a 2-mile-long cortege proceeded 55 miles to the national cemetery in Santa Fe, where Nez was buried in Marine dress blues. 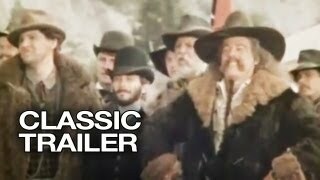 Buffalo Bill and the Indians, or Sitting Trailer - Directed by Robert Altman and starring Paul Newman, Joel Grey, Kevin McCarthy, Harvey Keitel, Allan F. Nicholls. Buffalo Bill plans to put on his own Wild West sideshow, and Chief Sitting Bull has agreed to appear in it. However, Sitting Bull has his own hidden agenda, involving the President and General Custer. Meet Brian Hammill, a 4 Time World Hoop Dance Champion. This is his audition reel for America's Got Talent. Controversial getup for Thanksgiving outraged Native Americans who called it inappropriate. Traditional, Jingle, and Grass are but three of the types of dances world-champion Indian dancers perform. For three days the ground erupts with a stirring spectacle of majestic tribal regalia, drum, and song, in a sea of twirling color. Come see it all for yourself in Cherokee, NC.